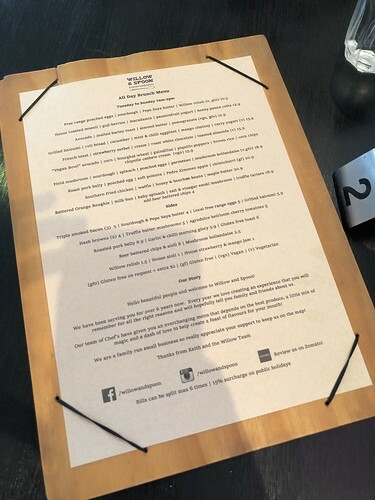 Finally on a child free day (Grace's first day in childcare), Mr and myself went out for a lunch date at Willow and Spoon. Certainly it was not a romantic setting, but we appreciate this little moment we have together. I think couples deserve this time together if possible! Parking was easy to find along the street, and there are plenty of seats at the back of the cafe. I have been here years ago and it has been upgraded with new paint and design. It is bright and lovely. After browsing the menu, I knew what I want straightaway. I previously had a waffle dish (could not be bothered to blog about this place or maybe I should?) in another cafe and was so disappointed. 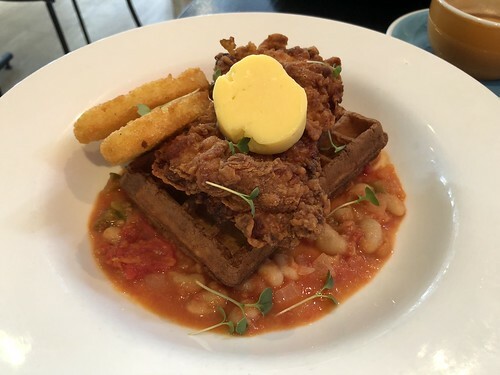 I need to satisfy that craving and hence, ordered the Southern Fried Chicken with waffle. It turned out to be an amazing dish! Seriously love the crunchy fried chicken and it was paired beautifully with the waffle. The honey and bourbon beans were quite mild and not too overpowering. Simply good! 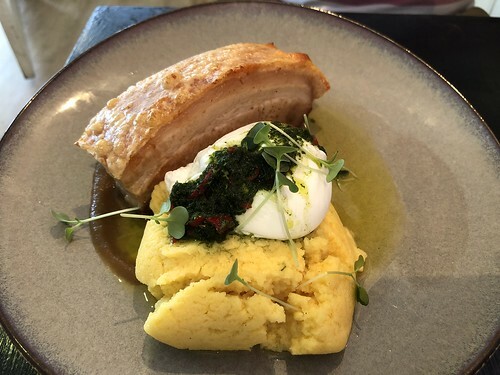 On the other hand, Mr had the Roast pork belly and poached egg. Hehe, do you stare at your partner's dish at times and sending him some signal 'I want to try'? Mr understood and let me try some of the pork belly. Crispy skin and tender pork... Although at times difficult to cut through the crispy skin. Overall, it was a good dish. 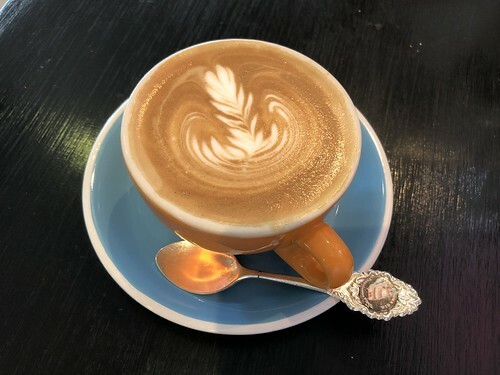 My flat white was good and enjoyed it. We ordered sides of hash brown and a little disappointed that it was the frozen type rather the homemade one. Overall, good meals with nice settings and prompt service. Looking to be back with Grace soon to utilise the children's play area.